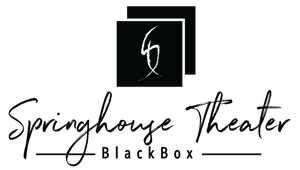 The Springhouse BlackBox is an intimate setting that will accommodate an audience of approximately 70 (depending on the staging configuration). Shows generally run for two weekends and admission prices are typically $10 for plays and $12 for musicals. 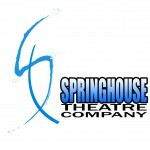 These shows are not included in the regular Springhouse Theatre Season, but that does not mean they are of lesser quality. Generally they are simply shows for which we have a passion but lack the commercial draw necessary to mount them in a room that seats 400. We believe they have great value, however, and that the audience for these shows will find themselves in for a quite rewarding theatre experience at a more than reasonable price. BlackBox is a division of Springhouse Theatre Company and is on the campus of Springhouse Worship and Arts Center. Please Note: unfortunately the BlackBox is not handicap accessible. Don't miss our next BlackBox show! Subscribe to our email newsletter to make sure you don't miss any of our BlackBox or main stage productions!